1. Kick Start Routines. Kids need time to adjust, so provide a head start. About two weeks before school starts, make bedtime earlier and dust off the alarm clock. Aim to serve meals at approximately the same times your child will be eating throughout the school year. 2. Set Up Ground Rules. Decide when and where she'll do homework. Be sure to cover tricky topics: Can she watch TV after she finishes her work? How late can friends visit on school nights? When's the caffeine cutoff? What about chores? Establishing guidelines and going over them together will make sure you're on the same page once school's in session. 3. Stressless Dressing. Let your child choose special first day clothes, To avoid arguing over school appropriate clothes, bring the fall wardrobe front and center. Replace sandals and swimsuits with socks, sneakers, and weather appropriate school attire. 5. Liven Passions. If your child became a weaving whiz at summer camp or a diving champ at the local pool, keep it going. Integrate new summer hobbies into the school year by finding after school clubs or groups that will let them continue to do the cool new things they tried this summer. 6. Create the Learning Spirit. Assign creative "homework" as summer wanes: Ask him to identify a paw print in the park or photograph something that changes colors. Make family flashcards and quiz each other: What was the farthest you went from home this summer? What plans were rained out? 7. Take a Field Trip. Plan one last fact-packed trip to top off months of water parks and baseball games. You don't have to go far: Visit a nature sanctuary to learn about different plants and trees, or examine an old ship down at the docks. 8. Set Up a Homework Area. Create a quiet, well-lit space for study. Prevent first day freak-outs by hauling out the necessities: backpack, dictionary, atlas, calculator, art supplies, paper, and pencils. Make it personal and fun, but free from distractions. 9. Enhance Skills. Add more factual brain-bending activities into the everyday mix. Sudoku games, crossword puzzles, word searches, and trivia all encourage your child to sit still, focus, and complete a task from start to finish. 10. Go for a Test Run. Take a trip to school, and get familiar with the new classroom. Make sure to find the cafeteria, gym, theater, and library. Don't forget about bathrooms! It's also a good time to size up cubbies, try out lockers, and locate a pay phone. We hope these ideas help make it an easier transition for you and your family! 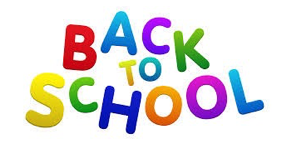 If your looking to switch homes this back to school season contact iGo Realty, your local North East Denver real estate experts at (303) 862-5457.